Patsy-May is a sweet little girl made out of a pale pink and white alpaca. With ultra suede paw pads. He black shiny eyes sparkle with the anticipation of Christmas. Her nose is embroidered and shone with nose shine. Her face has been needle and scissor sculpted. 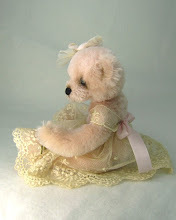 She is weighted with glass beads and stuffed with poly fill. 5 way jointed with cotter pin for the head and lock nuts for the limbs. She is 19.5 cm tall. 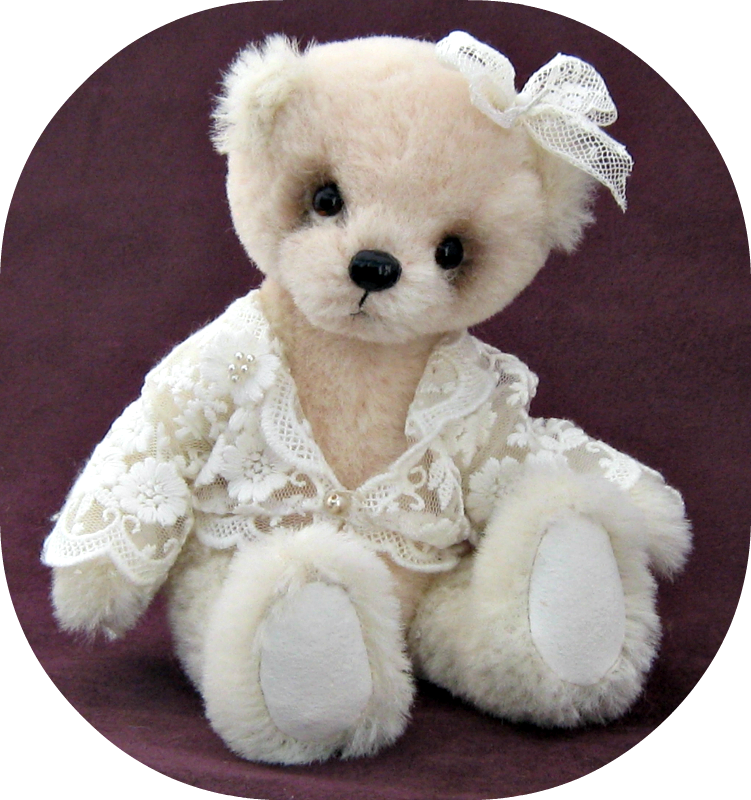 She wears a very pretty little jacket made of lace with a lace bow in her hair.Her fur is so soft. Patsy-May is going to her Granny's to help her decorate the Christmas tree. 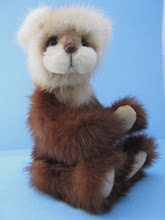 Patsy May is $90.00 Australia dollars plus postage. Das kleine Bärenmädchen ist ganz bezaubernd und es wird sicherlich bald ein neues Zuhause finden. What a pretty little girl! I am sure she will make somebody's Christmas unforgettable! Isn't she the sweetest little thing .... I think a little needle & scissor sculpting wouldn't go astray in my neck of the woods.hoping your week goes well. 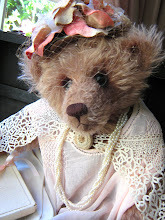 Patsy May is a sweetie and love her little lace jacket and bow. oh how sweet is Patsy!!!!! love her!!! love Patsy!!! she is so so sweet!!! 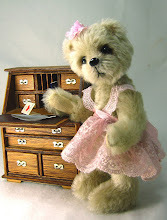 Oh my, what a darling bear-girl you have created. Love the nose shine you use over the embroidery; what a great result! Enjoy your Sunday and sending you hugs!